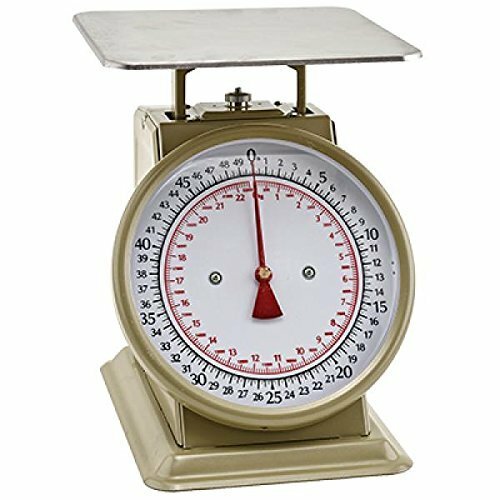 Winco SCLH-50, 50-LBS Multifunction Kitchen and Food Scale, Stainless Steel Mechanical Measuring Commercial Grade Portion-Control Scales is an essential item for any commercial kitchen. Due to its corrosion-resistant, heavy-duty stainless steel construction, the item is extremely durable and long lasting. It is definitely perfect for restaurants, pubs or concession stands. Its dial graphics improve reading accuracy, this amazing scale registers weight from 4 till 50 LBS. Its dial graphics improve reading accuracy. This amazing measuring scale registers weight from 4 till 50 LBS. Compact design is great for confined areas. Ideal for weighing portions in kitchens and delis. Stainless steel platform and bezel are easy to clean and sanitize.